Nice post David! I have always made swarm prevention splits by taking out the old queen with a goodly court, and letting the original (thence queenless) colony raise up the new queen. The original colony has more bees and stores, and does a great job of queenrearing. However, it is critical to go back into the original hive a week or so after the dequeening to cull or pull out queen cells. There are often 10 or more, and if you leave them all you will get multiple swarms, which defeats the whole purpose of the exercise! Which was demonstrated this spring by a friend who forgot to cull back to the three best cells and had a swarm-a-palooza. And thankyou for my new word of the day, eclosion! I’ve got a half-written post about this. Some people state that queens reared under emergency conditions will not throw off casts. My experience is that this can happen. 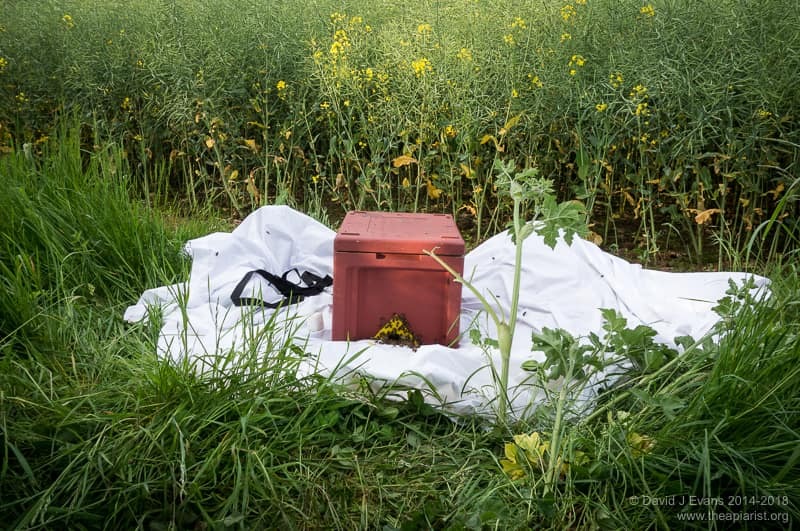 You then get the question about how many to leave, open or closed, and whether we (as beekeepers) are better at choosing potential queens – which is all they are at this stage – than the colony? What influences whether colonies continue to throw cast swarms, do you know? Is it genetic? It seems like a bad strategy for survival. An unrelated question – can unmated virgins ever look as large as a mated queen? We still have no eggs in one of our hives a few weeks after a large new queen was spotted. Could be she’s died I guess. Everything is genetic 😉 Well, more or less. I think strength of the colony is a major factor. Really strong colonies seem – in my experience – to be more prone to chucking out loads of casts. Most swarms do not survive. An even greater proportion of casts perish (there’s data on all this). However, it only needs to be successful once for it to be beneficial – in terms of reproduction – so there’s likely to be some genetic selection for the trait (or at least ensuring the trait is not completely lost). Of course, all this is confounded by the influence of loads of additional things like available forage, weather etc. Would a bulgingly strong colony chuck loads of casts off if there was a dearth or poor weather? I don’t know. Queens … definitely yes to your question. I’ve seen some teeny tiny mated and very successful queens and some great big bloated virgins. I opened a nuc up last week that has a reassuringly big (because that’s what beekeepers look for, whether it’s a true indication of quality or not) virgin scampering about. I expect (hope!) to find her today, mated and laying. I think behaviour is a much better indication of whether she’s mated than size. If it’s a ‘few weeks’ and the weather has been conducive for queen mating I’d be starting to get concerned – perhaps try a test frame? Don’t leave them too long or you might end up with laying workers. Very useful to know, especially that virgins can look big. I wonder what they are bloated with and why only some appear that way. 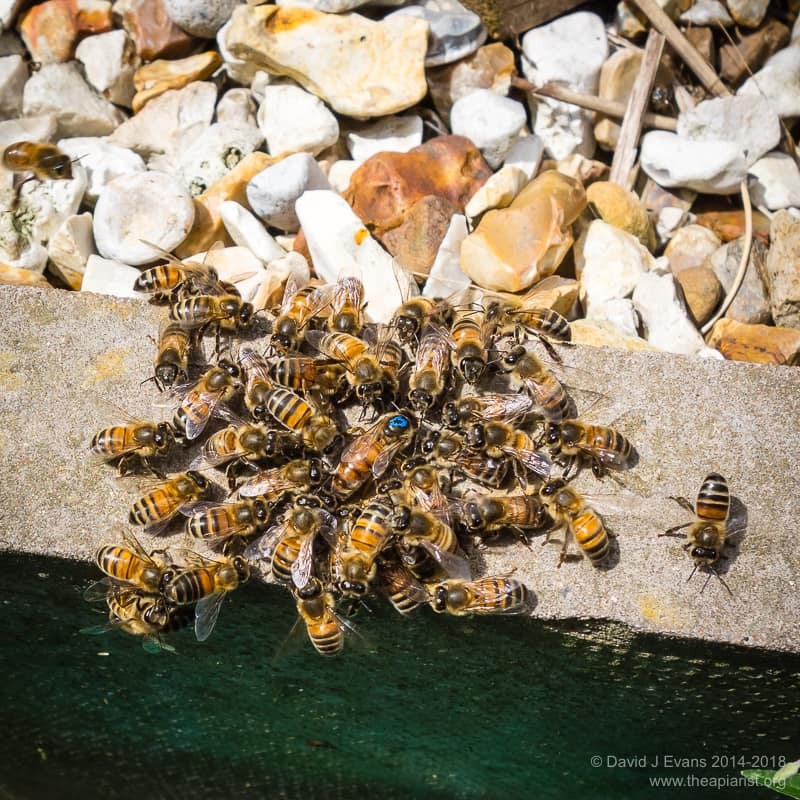 After going through most of the hive on Saturday and spotting no eggs/brood we were almost convinced they were queenless – only to find a queen with an egg coming out of her bum! Ha! Anatomically inaccurate but good news nevertheless 😉 I have a couple of hives in the same sort of limbo – there should be a laying queen in there, but I’m darned if I can find her. ‘Bloated’ was just a term to indicate size … I suspect they’re just genetically large and/or well fed during development. So I had a clipped and marked queen she left with the prime swarm, because she could not accompany them, they returned to the hive. 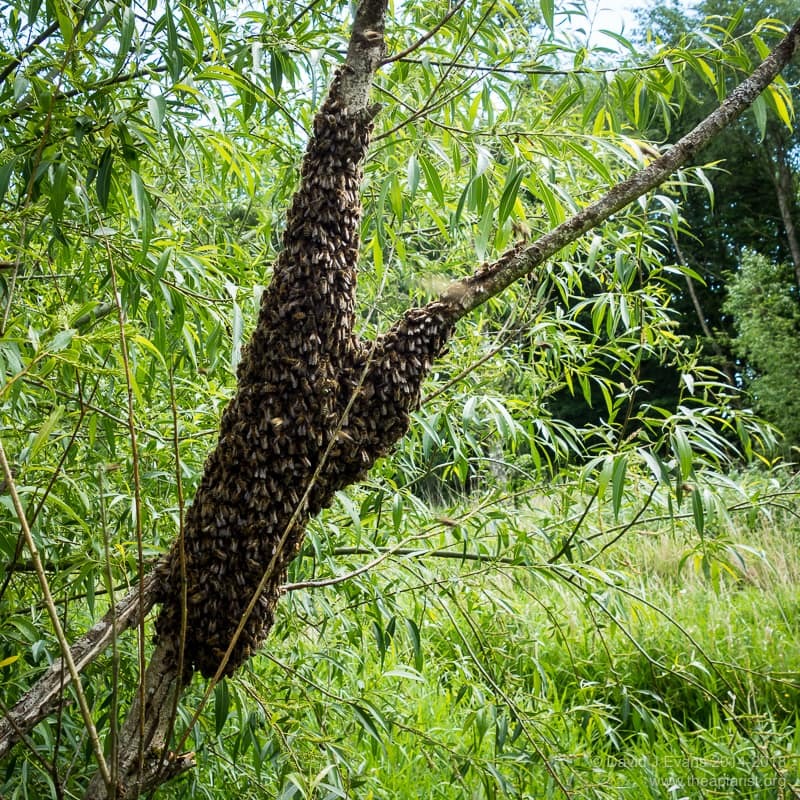 (I am assuming this as I was not there) dam that would explain the small knot of bees on the ground I did look at them but did not see any queen Ok I missed that not paying attention. Any way another swarm issued from the hive, could this be a cast swarm if it was it had a huge number of bees and is now in the roof and not my bait hive. My question is. 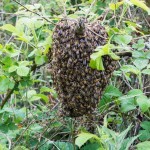 is this cast swarm headed by a virgin queen or could she be mated. Why did they leave at 8pm in the evening? 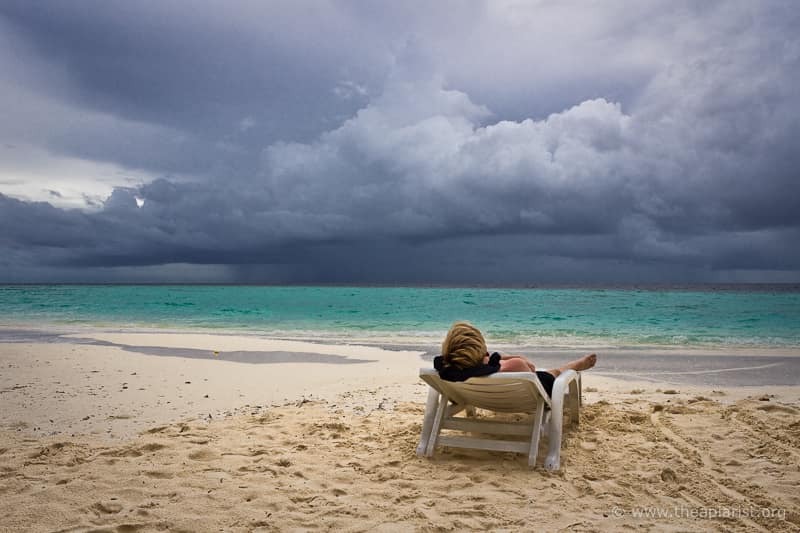 good post interesting reading. Why did they leave at 8pm? Who knows? Sometimes they do the weirdest things. I suspect they were simply hell-bent on leaving and it was a hot day. Was the second swarm a cast headed by a virgin? Assuming it was soon after the first attempted to leave I expect the queen was unmated. If the first tried to leave when the cells were capped you’d still need 7 days for the new queen to emerge and then a few more for her to mature and get out and mate. Clipped queens tend to swarm a bit later. However, if it was a week or less I’d be reasonably certain the swarm in your roof left headed by a virgin. Thanks for that. If she leaves the roof to get mated when she returns she may just stay put on a frame of old foundation I placed in a Nuc roof upside down over the entrance which I reduced to limit their access, I did this at ten pm so she is probably in there, hope I am not too late. its all an adventure. I arrived on this page from your latest posting. Will this be enough to restrict her flying? I can catch her again and take off some more but don’t want to stress her out more than necessary!! I’d cut a bit more off … I usually clip 25-50% off. Her flight will be impeded, but it’ll be good to be certain. Thanks David. I’ll give it another go! I’m keeping a close eye this year….but just in case!